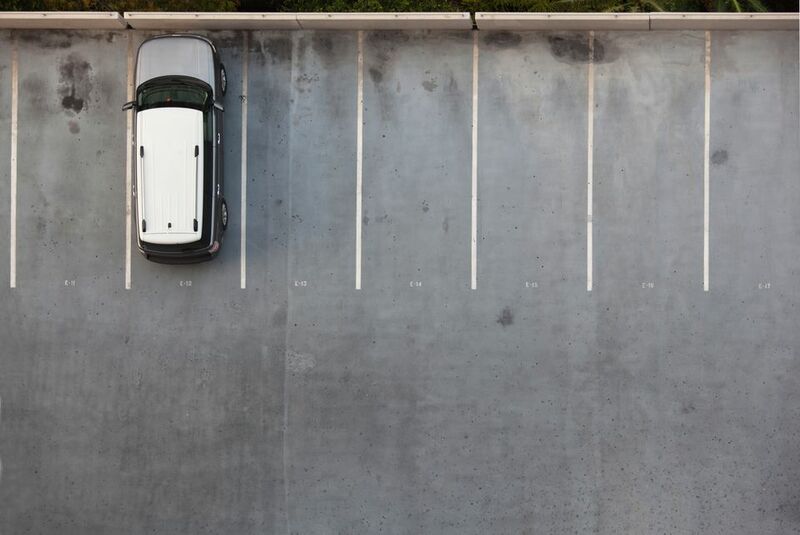 If you're traveling to downtown Oklahoma City, either for a particular business or event such as a function at the Cox Convention Center or the Chesapeake Energy Arena, you need to know where to park. Fortunately, there are plenty of choices, most very reasonably priced and within a short distance of the event spaces and Bricktown. Here is information on parking in downtown Oklahoma City, details and prices for the best options in available garages, areas and lots. Broadway/Kerr Parking Garage - Located north of Sante Fe Plaza along Broadway/EK Gaylord, this downtown parking garage has just short of 1000 spaces but allows only monthly rental. Call (405) 297-2543 for more information. Century Center Parking Garage - Just north of the Cox Convention Center at 21 North Broadway is the Century Center garage. There are just over 800 spaces available, with similar prices to other downtown facilities: $115 monthly, $2 hourly and special events at $10. Call (405) 297-2543 for more information. Charter Garage - The Charter Garage provides convenient access to downtown's more northern destinations. Located at 6th & Hudson, Charter doesn't have a lot of spaces, but the cost is just $5 daily or $45 monthly. Call (405) 236-5175 for more information. City Center - Located at 301 W. Sheridan, just northwest of the Cox Convention Center, the City Center garage has over 2700 available spaces. Special event pricing is a touch more expensive than some other spots at $6, but the garage also has monthly ($92) and hourly ($2 first hour add $1 each hour after to $7 max) parking available. Call (405) 297-2543 for more information. Cox Convention Center - There is parking available at the Cox Convention Center itself, just under 1000 spaces, though not by the hour. The monthly rate is $115, and the special events price is $10. Call (405) 297-2543 for more information. Dowell Center Parking - Located toward the north side of the business area of downtown, the Dowell Center Parking garage sits at 433 N. Harvey and has 400 spots at $5. Call (405) 232-3870 for more information. Globe Garage - The Globe Garage is located at 120 Robert S. Kerr, not too far from the Civic Center Music Hall. Parking is available in 200 spaces for $2 per 1/2 hour, up to $10 max. Call (405) 232-3996 for more information. Metro Parking Garage - There are to Metro Parking Garages (321 Robert S. Kerr and 320 Dean A. McGee), both located toward the northwest side of the business district of downtown. They have over 800 spots each with monthly rental available at $97.54 and $7 event parking. Call (405) 713-1828 for more information. Plaza Garage - The Plaza Garage is located at 227 Robert S. Kerr, another good option for Civic Center Music Hall. Parking is available in nearly 300 spaces for $2 per 1/2 hour, up to $8 max. Call (405) 232-3996 for more information. Santa Fe Parking Garage - Conveniently located along EK Gaylord Avenue, the Sante Fe garage is connected by skywalk to the Cox Convention Center. With over 1500 available spaces, Sante Fe rents by month ($120), hour ($2) and for special events ($10). Call (405) 297-2543 for more information. Sheridan/Walker Parking Garage - Located at 501 W. Sheridan (corner of Sheridan and Walker), with entrances on both Sheridan and Walker, this parking garage downtown has monthly ($91) and hourly parking ($2) available. With over 1100 total spaces, the garage also features $10 special event parking. Call (405) 297-2543 for more information. Bricktown Parking, Inc. Lots - For some downtown events, you may want to park in nearby Bricktown and take the short walk. There are several BPI lots (1½ E. Main, 21 E. Main, 11 E. Reno, 115 E. California, corner of Sheridan & Oklahoma and at the southeast corner of Sheridan & Mickey Mantle. Prices vary but are typically no more than $10. Central Parking Lot #64 - Located at Robert S. Kerr & E.K. Gaylord, the Central Parking Lot #64 offers daily $4 parking in a handful of spots. Municipal Lots - There are nearly 500 spots available at the municipal lots 620 & 712 Robert S. Kerr. Cost is only $1 per hour and $5 for special events. These often work quite well for Civic Center Music Hall or OKC Museum of Art events. Don't forget that there are also a number of metered parking spots in downtown Oklahoma City. After all, OKC was the site of the first parking meter in history, invented here and installed back in 1935. In fact, if you're only going to be downtown for a short time, one of the approximately 1,400 metered parking spots might be your best bet. Many of the spots now even include an option to pay by credit card over a cell phone, so you don't have to worry about carrying the loose change.